Ready to Learn More About Real Estate Investing? 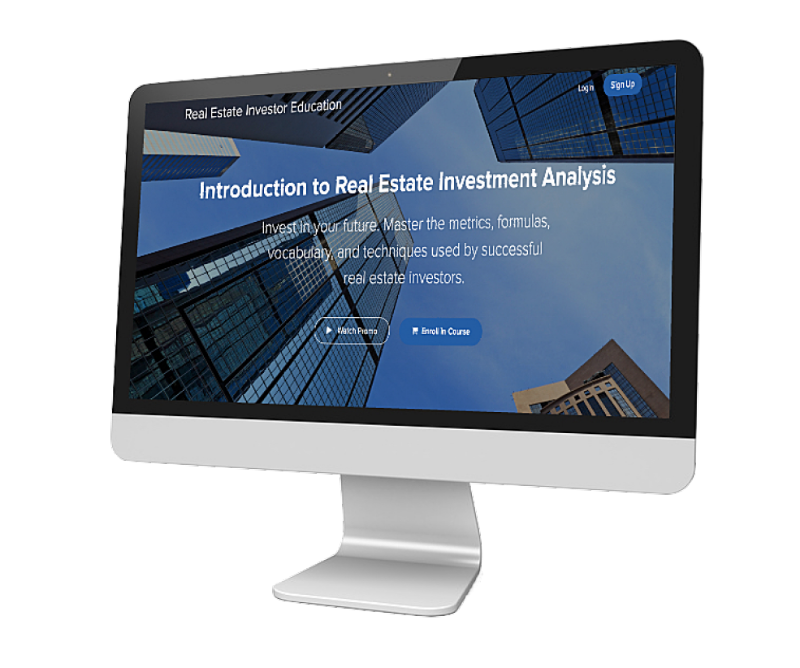 "Introduction to Real Estate Investment Analysis"
I'm pleased to share complimentary educational content for real estate investors -- and I'll start you off with this lesson from my comprehensive video course as a "thank you" for subscribing. Opt in to receive content like this in the future, including ebooks, articles, videos, and occasional marketing messages. You can unsubscribe at any time. I'm Frank Gallinelli — the author of the best-selling book, "What Every Real Estate Investor Needs to Know About Cash Flow"
I've been involved in real estate for more than 40 years and have been teaching real estate investment analysis at Columbia University for over a decade. I believe that education is absolutely essential to your success as an investor and am delighted to share with you what I know. I found the course to be the perfect complement to your book. I appreciated the fact that each video is short which allows the user to digest the material in a simple fashion. ... All in all it was really what I was hoping for and I have way more confidence today when analyzing income properties than I did before the course. The course taught the most important concepts that I need to know in my early stage of learning real estate finance. The instructor has a keen talent for explaining the initially mind-boggling concepts in a painless way through easy-to-understand language and examples. I recommend this course to anyone who has any interest in the real estate field. I found your book and video course to be exactly as advertised. It addresses the concepts and language of investing in an easy to understand manner and presents the math in such an easy non-intimidating way that even a math-o-phobe can sit down and really enjoy studying the subject. Just one more step: Please check your email to confirm your subscription to our educational content for real estate investors.